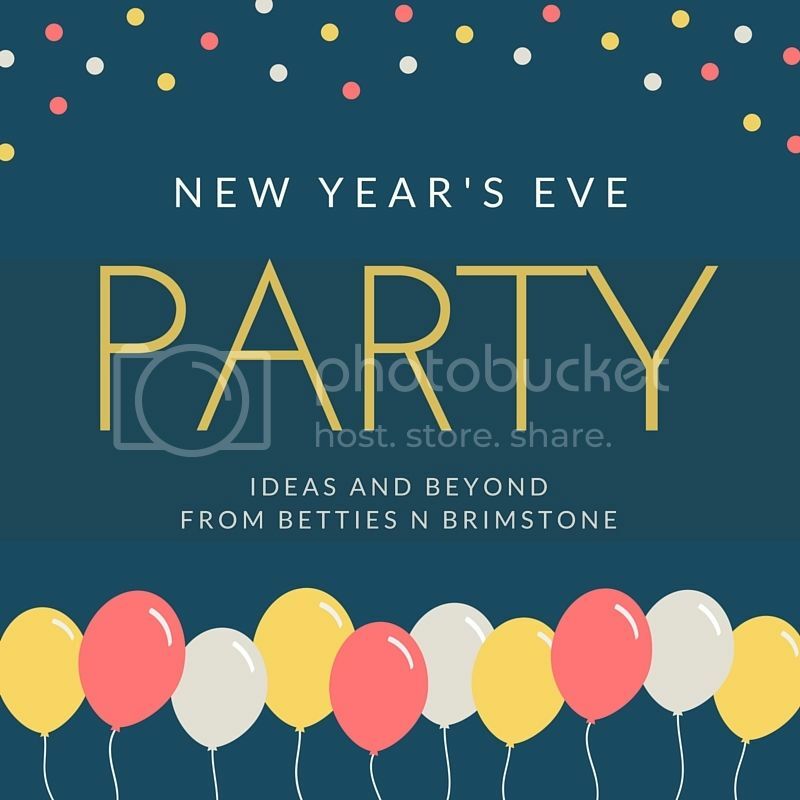 Betties N Brimstone: Party Ideas for NYE and Beyond! Are you hosting a party on New Year's Eve? Having the family over on New Year's Day? Or maybe even just being a hermit at home (my personal preference! 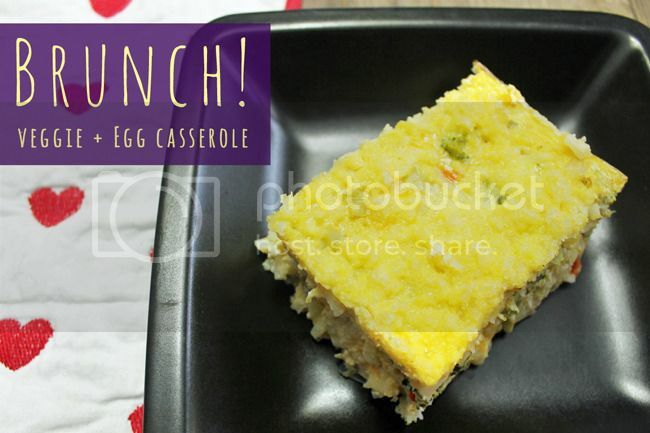 ), I have got some great ideas for party appetizers and brunch options for the upcoming festivities. 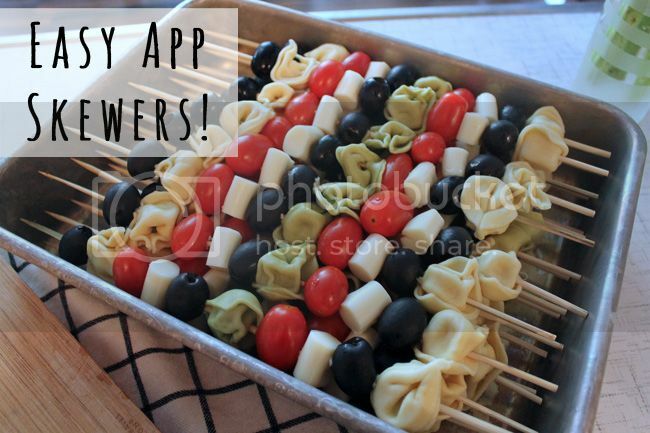 These appetizer skewers are always a hit at parties because they're so easy to pick up and go! If you're assigned to bring an appetizer, these are the way to go - they travel easy, and they're popular with kids and adults alike. Not to mention super easy to make - you can even have the kids help you assemble them before the party! 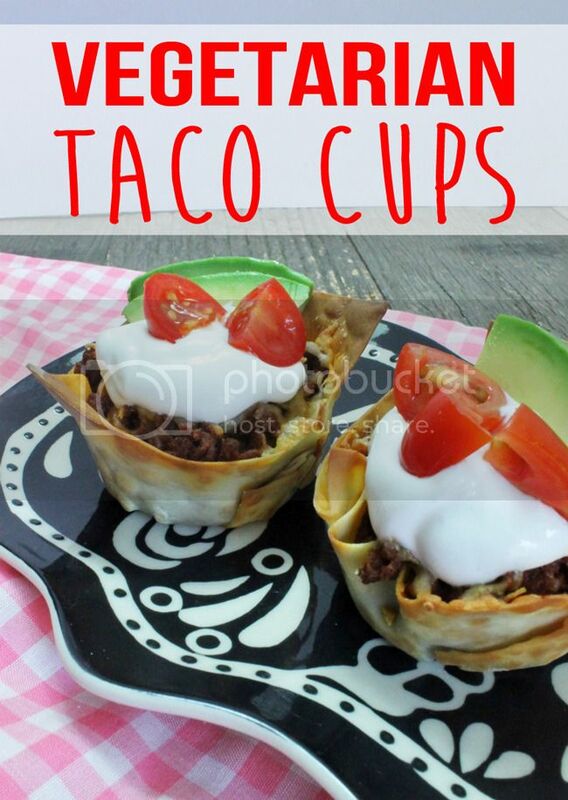 Taco cups are a great appetizer because of the versatility in the recipe. You could choose to make these with taco meat or chicken if you're all carnivores, but it is so easy to keep these vegetarian and to create different options for toppers, such as sour cream, guacamole, salsa, jalapenos... you name it! Maybe you need a more substantial option for your party... something more meal-like. Think tiny sandwiches! You could easily make a bunch of lettuce/tomato/lunchmeat choices, or even tiny burgers... but what about our awesome vegetarian friends? 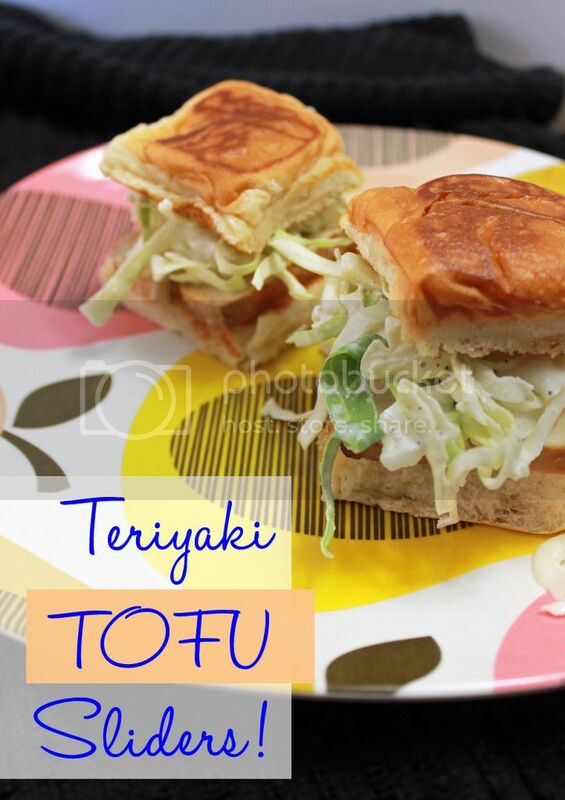 Go outside the norm and surprise your guests with a teriyaki tofu slider! These are super easy to make with the aid of pre-marinated refrigerated teriyaki tofu from Trader Joe's. I actually made this breakfast casserole on Christmas morning this year, only instead of cheddar and broccoli, I swapped for fresh mushrooms and goat cheese. It was amazing! I also used diced frozen potatoes instead of the shredded kind (it was all that was available at the store). Still delicious, so don't be afraid to experiment with the base recipe and jazz it up to suit your tastes! Bloody Marys are my favorite go-to drink for holiday celebrations during the day. Like the day after Christmas, when my husband's side of the family gets together. One of the best things about Bloody Marys are the garnishes. 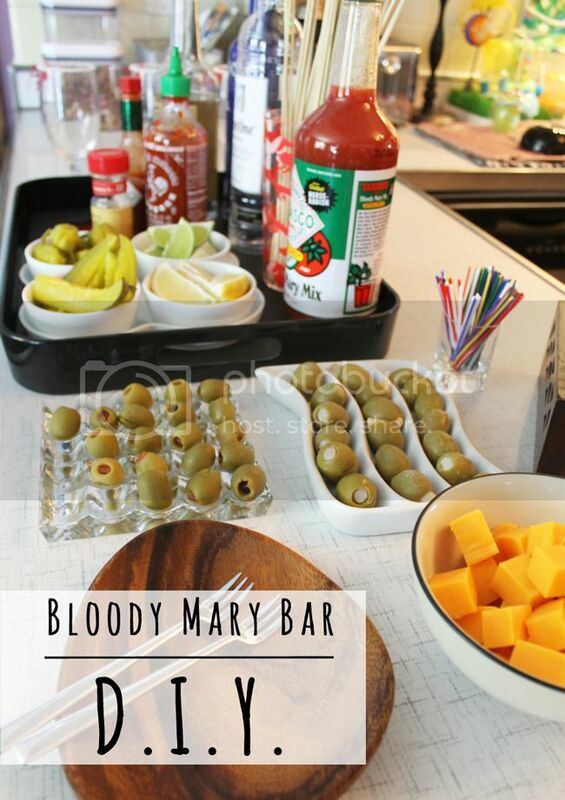 Go crazy and create a whole bar of options for you and your guests! 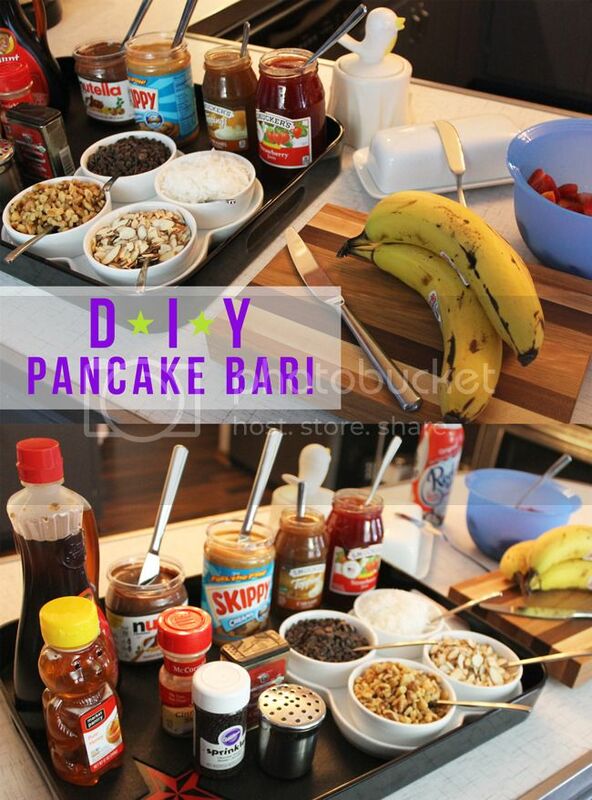 We had a pancake bar for Iggy's second birthday party, but this would also be a super rad idea for a New Year's Day brunch party. If you're not feeling the pancakes vibe, set up a toaster and a box of frozen waffles and go hog wild! If you're traveling to a New Year's Day event, a batch of homemade banana muffins are always a welcome treat. 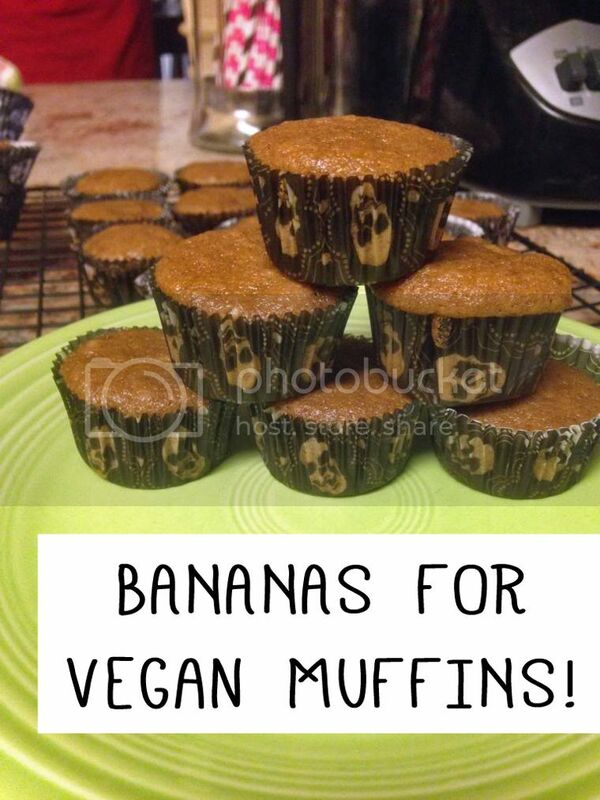 Bonus - they're vegan-friendly! Yum! Are you hosting a NYE party? Help your guests navigate your pad effectively with this FREE printable idea.